Give thanks for vibe dining. This Thanksgiving, ring in the holidays with the spirit of vibe-dining. 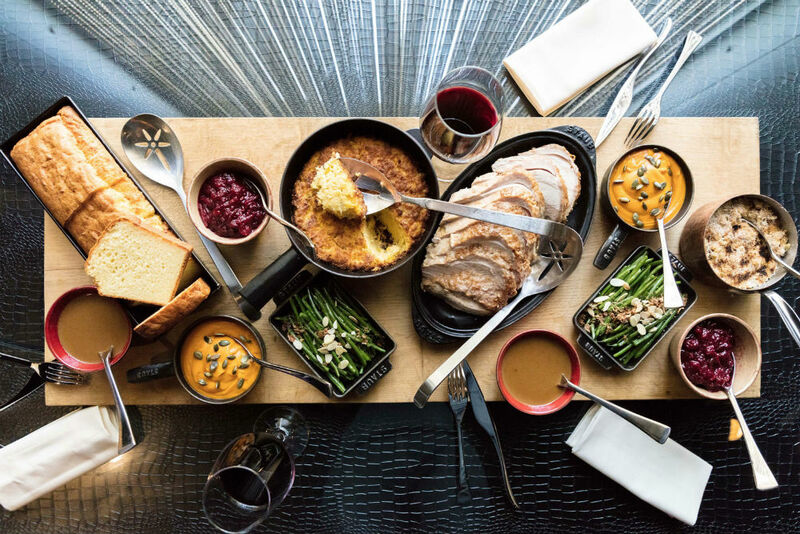 Join STK Steakhouse San Diego for your Thanksgiving dinner and enjoy Thanksgiving specials along with their full menu. STK San Diego artfully blends two concepts into one—the modern steakhouse and a chic lounge—offering the full experience from incredible cuisine to breathtaking cocktails that are truly one-of-a-kind. Theatrical lights illuminate each table and large windows allow patrons to catch a glimpse of the bustling Gaslamp Quarter while a DJ creates an energetic vibe throughout the entire space. As anticipated, steak is the main attraction. STK San Diego offers small, medium and large cuts of meat, as well as market fresh fish entrees, and various dishes to please any palate. Aside from steak, signature items include Parmesan Truffle Fries, Lil’ BRGs, Tuna Tartare and Sweet Corn Pudding. STK San Diego is located in the Andaz Hotel, on the corner of Sixth Ave. and F St. For reservations call 619.354.5988 or reserve online.